Once in a while you go to a gig and you realise that it is something special. There are few singers who can match Barb Jungr, and even fewer who can take a song and reinterpret it as well as making it their own. It takes a love of the material and an intimate appreciation of a song to give it a new lease of life and one thing you are made aware of is that Barb Jungr does really love the songs that she sings. These songs are not primarily ‘crowd pleasers’; you’ll not find any of the dull diva songs (‘I am Your Lady’ or that awful song from ‘Titanic’) on Barb Jungr’s set list or her albums. I saw Barb on her second night in the intimacy of the Rodewald Suite and an ideal setting for a singer who appreciates her audience as much as the material in her set. Opening with Marc Cohn’s ‘Walking in Memphis’ (from her album Walking in the Sun) it’s a great and lively number that leads nicely into ‘Sunset To Break Your Heart’ from the new album Stockport To Memphis, a beautiful song (dedicated to anyone who had been on a camping holiday to the Isle of Skye). The song reminded me of Joni Mitchell, particularly the quality of the lyric writing that captures a tender image of innocent romance, caught up in the intimacy of the world around the two lovers. Next up was the classic soul song, originally recorded by Johnny Johnson and the Bandwagon, Breakin' Down The Walls Of Heartache. There is something very brave about taking on such a great and energetic song with just piano accompaniment and it worked. The excellent Simon Wallace (who obviously shares Barb’s enthusiasm for the songs) on piano, provided a superb break, whilst Barb never relaxes her rhythm. She does the song greater justice than did Dexy’s Midnight Runners, bringing out the genius of the lyric writing. Christmas songs are not usually my favourite listening. But one of the most beautiful seasonal songs I can think of is from Joni Mitchell’s album Blue. For me, Mitchell is the songwriter par excellence and River is one of her greatest compositions. Barb recorded the song, with the Northampton Royal & Derngate Community Choir, for her new album and it will be released on December 10th as a seasonal single. Barb reinterprets Mitchell’s song of loss into a glorious and optimistic gospel orison, giving it a vision of hope. And even without the choir (she asked the audience to sing along) the treatment given to the song maintains the glory of it. Simon Wallace‘s playing is tender but never intrudes. Barb Jungr’s phrasing presents us with each word and note as if it were a revelation. And, for me, it was. I rate Joni Mitchell as one of the greatest singer/songwriters of all time and I have never heard anyone singing her songs that could match the original. Barb doesn’t attempt to, and reinterprets the song, giving it a new meaning and a totally new atmosphere as well as a fresh splendour. In Mitchell’s original you get the sensation of the coldness that speaks of desolation, in Barb Jungr’s hands it becomes a song of renewal. Lost on the River is a Hank Williams song which I remember as a kid being played on a 78. Williams was always more than just a country singer. His songs drew their inspiration from much of the ‘people’s’ music, especially blues and gospel. Barb brings out the gospel feel to this wonderful song. I have always wondered at the whole gospel phenomena. Obviously they are intended as religious hymns yet many also seem to deal with existential crisis, suggesting hope through salvation. Barb’s treatment of Lost on the River seems to suggest that. It feels that she chose this song for the simply stated, yet profound lyrics. Between numbers, Barb kept up a connection with the audience. Sometimes talking about the song that she would be singing, letting us know why and what it meant to her. Her connection with the audience was never patronising and seems free-flowing. There was something privileged about the anecdotes and explanations that she gave. She talked about how young girls these days seem to go for these handsome and suave men, whilst in her day it was the wild, even pock-marked boys who girls gave their attention to, though they were never marriageable material. This led into a humorous rendition of The Zombies’ song He’s Not There. This was followed by a wonderful version of Neil Young’s Old Man. With it Barb injected the song with enthusiasm, taking away the miserablist feeling of the original and injecting a bit of humour into it. She also showed that she could play a mean harmonica; an unusual instrument combination with the piano, but it worked very well. And danced the whole night long. The song has a smooth jazz feel to it and provides Simon Wallace with the opportunity to play a great piece of lounge piano. There is none of the cloying nostalgia in the song and the piece has a sense of joie de vivre. But it does show Barb to be someone who treats her work seriously. New Life may sound light but there can be no overlooking the fact that the lyrics are intended to match the quality of those of the songwriters she respects. And perhaps it is her exposure to fine lyric writing that makes her own forays into song writing so good. To end the first half of the set, we were treated to Leonard Cohen’s Everybody Knows. I sometimes think that Cohen could make Happy Birthday To You sound like a dirge. But he was capable of writing some very funny songs, they just didn’t sound funny when he sang them. Everybody Knows is one such example and Barb treats the song to a classic jazz approach, getting down and dirty, with some fine ad libbing, ensuring that we were left waiting for more. Tom Waits would not be the first singer/songwriter that I could imagine Barb tackling, but opening the second half of the set with Way Down In The Hole was a great move. The faux gospel is very funny, but Barb treats the song with all seriousness, taking the pace down a notch, treating it more as a soul song than gospel. And it works very well, making it sound like a completely different song. 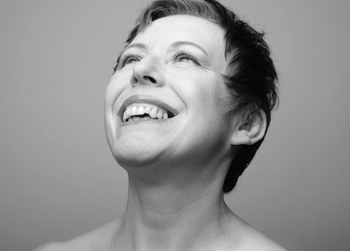 Last Orders is another composition written by Barb Jungr and Simon Wallace. Again the song deals with past joys (In the pubs we smoked and kissed/ We drank our youth like the morning mist) and never seems to descend into maudlin nostalgia. I like this territory that Barb explores and the images she conjures up (With the strains of Layla on the jukebox...). You get the feeling that she is having too much fun now to want to go back to those days. I have to admit that I have never thought very highly of Bob Dylan. Many people do and I appreciate that he wrote some great lyrics but for me I could only value them when other people sang them. Early Rod Stewart was a case in point, and Bryan Ferry also did justice to some of Dylan’s songs on his album Dylanesque. However Barb’s albums Every Grain of Sand and Man In The Long Black Coat are two outstanding examples of what can be done with Dylan’s songs. Celebrating his lyricism but also showing how arrangement and reinterpretation can make a good song great. 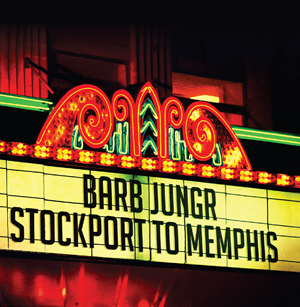 Lay Lady Lay can be found on the Stockport To Memphis album. Barb and Steven Wallace bring out the Gospel feel to the song, something that is not clear in Dylan’s version. The song is taken at a slower pace than normal and I think Barb Jungr and Steven Wallace provide us with a greater depth. I like the fact that the song has some distance and is presented as a commentary on a situation rather than a personal plea. I suppose it would have been tempting for a female singer to have sang something like ‘Lay, Baby, Lay’’. As it is, Barb Jungr’s interpretation shines a new light on the song. Urban Fox, a Barb Jungr / Simon Wallace composition taken from the new album, is a tender song, again bringing to mind Joni Mitchell. This is not to say that the song is like a Joni Mitchell song, but that the quality of the lyric writing and the singing is at its very best. Till My Broken Heart Begins To Mend, another self-penned song from the Stockport To Memphis album (I may not feel good, but I can pretend), is my favourite song from the album. The lyrics are sharp and the singing has an understated defiance to it, contrasting with the dreaminess of the previous song. To illustrate how wide a range of taste and singing ability Barb Jungr has at her disposal, the next song is The Waterboys’ Fisherman's Blues. The pace is taken much slower and the approach reminds me of Patti Smith, a singer who was herself a great interpreter of songs like Hey Joe and Gloria (Though the album 12 was a great disappointment in that Smith simply covered the songs rather than provide anything fresh). Barb certainly adds a lot to this song, giving it a depth that I never noticed before. Perhaps lyrically Fisherman's Blues is not the strongestsong in this set, but sometimes a popular song can simply maintain itself on the tune alone and it may simply have no other meaning than the fact that it is a great song to sing. Stockport To Memphis is an excellent R&B track and allows Barb to show off her harmonica playing and Steve to show off some good pounding playing. The lyrics cover similar territory to New Life (We were dancing fast/ we were dancing slow/ When I boarded that train I didn’t know where it was going to go) yet it carries with it its own breeziness. An obvious crowd pleaser, but one that you know Barb and Steven enjoy doing. And it is a great number to end a set on. But there was an encore. It is hard to think of a political song that is as moving as Sam Cooke’s Change Is Gonna Come. The impact of this song cannot be underestimated, influencing such singers as Marvin Gaye (What’s Going On) for example. It went on to be recorded by many artists as diverse as Al Green, The Righteous Brothers and Arcade Fire. It also became an anthem for the American civil rights movement. Its popularity can be explained by the fact that it is an outstanding song of hope. And I guess that is why Barb Jungr has included it in her catalogue. For me it was the most nostalgic song of the night, as it spoke of a time when social change was expected and not feared as it is today. The value of keeping this great anthem alive is probably in the fact that it speaks to us of what is possible. I am not sure that Barb and Steve could do anything more with this song that has not been done already, except treat it with the love that one feels for such works. It was an excellent ending to a fantastic set. Barb Jungr is justifiably seen as one of the greatest singers and song interpreters in the world, having been awarded the 2008 Nightlife Award for Outstanding Cabaret Vocalist and Best International Artist 2003 Backstage Award. She has toured the world and even had the British composer Mark Anthony Turnage compose ‘About Water’ for her to sing at the re-opening of The South Bank with the London Symphonietta in 2006. She has been referred to as "one of the best nightclub singers in the world" (Time Out New York), but I would argue that she is more than just a ‘nightclub singer’. Whilst she maintains the great tradition that originated in the US, in the 1930 -50s, where singers: crooners and jazz singers; such as Nat King Cole, Frank Sinatra, Jeri Southern, Sarah Vaughan and Dinah Washington, to name but a few, took popular songs and reinvented them. This is as creative as song-writing. Many of those songs became associated with particular singers, even though they did not originally record them. There is an enormous difference between what those artists did and what many popular groups and singers do in more contemporary times, who simply ‘cover’ a song. In more recent times singers such as Robbie Williams, Rod Stewart and Bryan Ferry have released album with titles such as ‘The Great American Songbook’. But none of them did anything more than simply sing a cover version of some classic song. The tradition that Barb Jungr finds herself in makes great demands on artists to reinvent the songs. And I think that this approach is a valid one. Popular music affects us in a way that no other activity can. The immediacy of popular songs speak to us about our own experiences; whether that is concerning our love life or our political beliefs. We take comfort from the fact that others understand us and we internalise the sentiments of popular songs, so that they come to have so much of a greater meaning for us. Singers such as Barb Jungr understand this and their work allows us to hear these songs in a new light, offering a fresh appeal to us. The emotional and intellectual graft that goes into reinventing a song is, I believe, more demanding than actually writing one afresh. It is obvious that Barb Jungr has a deep love for the songs that she works on. This comes over not just in seeing her perform them but also in the execution of the songs. We come to realise the care and hard work that has gone into presenting these songs anew. That Barb Jungr has a fantastic vocal range helps in that process. But I think of David Bowie, a singer with a great vocal range, and yet his one album of other people’s songs, his 1973 Pin Ups, offered nothing fresh to the numbers he covered (though his interpretation of Johnny Mathis’ Wild Is The Wind, on the 1976 album Station To Station is the most moving version of the song that I have heard). It takes a lot of guts and self-belief to do what Barb Jungr does. No doubt there are the purists out there who would be horrified that she tampers with their precious Dylan songs. But for me Barb Jungr is an interpreter and in reinventing the songs she opens new doors for us to reacquaint ourselves with a love affair we may have forgotten about or for which the embers still glow faintly.